The stakes are high for the quiet NBA star’s new signature sneaker, the New Balance OMN1S. How do you market a spokesman who barely ever speaks? So far, the brand’s answer has been to let the Raptors superstar’s game—and, now, his shoes—do the talking. In Sunday’s All-Star Game, Kawhi delivered on the former, racking up an efficient 19 points and five boards to help Team LeBron complete a come-from-behind 178-164 victory over Team Giannis. But how did New Balance do with the latter? Will the OMN1S be able to compete with the giants—your LeBrons, your Kyries, your Currys—of the signature shoe world? And what does the sneaker’s release signify for Kawhi, his team and their fans? Let’s quickly run through all the major stakes for everyone involved. After months of promising to “shatter industry expectations” with their return to basketball shoes, New Balance’s first at-bat looks like…well, a basketball shoe. 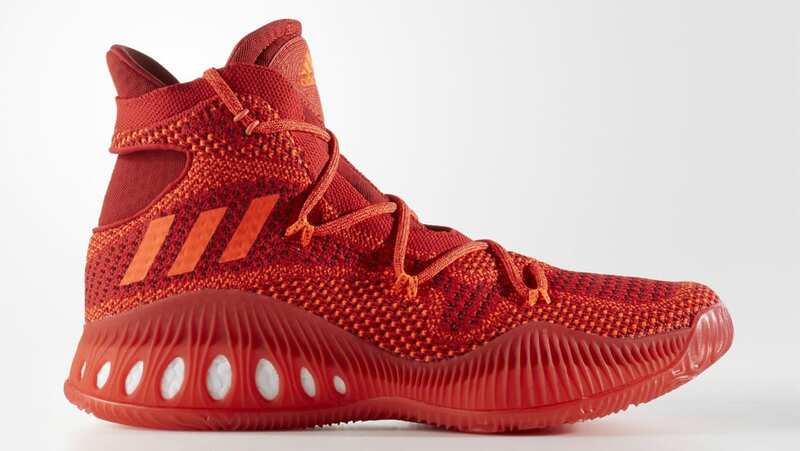 The OMNI1S is a relatively basic high-top silhouette, which—with its knit uppers and ribbed midsoles—vaguely resembles Adidas’s Crazy Explosive model circa 2016. Reaction online has been mixed. Based on an informal survey of tweets and Instagram comments, there’s roughly a 50-50 split between “Damn these clean”- and “This ain’t it chief”-type comments—not bad, all things considered, given how fickle and outright nasty the internet sneaker community can sometimes be. 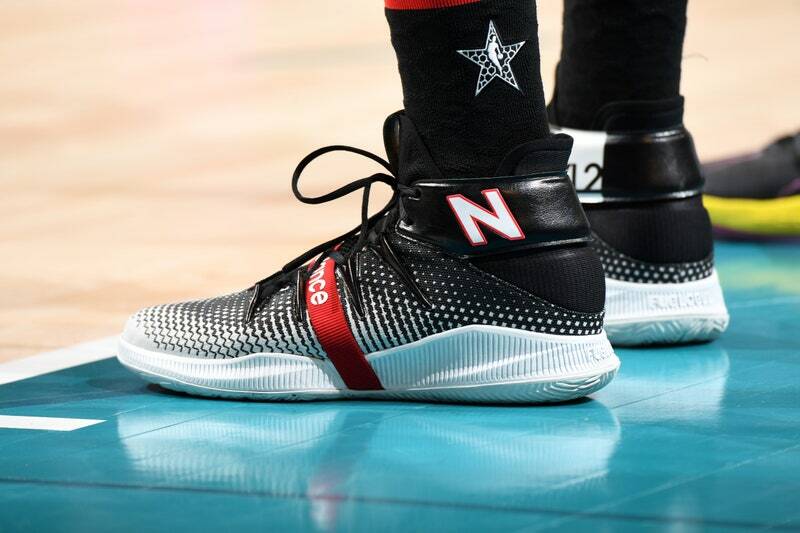 For our money, the OMN1S is a promising initial foray that both suits Kawhi’s reserved demeanor and demonstrates New Balance’s ability to craft a competent performance hoops shoe. They were never going to come out the gate with something as radical as the Nike Hyperadapt BB, but we can’t help but wish a brand with such a rich and unusual heritage had delivered something a little more distinctive. Of the six initial colorways NB previewed over the weekend, by far the most alluring is the “Trust Leonard” version—with “Kawhi Leonard.” printed across the back in a Times New Roman-y font—a nod to the shoemakers’ iconic 1980s ads starring Lakers great James Worthy. If New Balance’s basketball line is going to succeed, those are the kinds of things they’ll need to lean into: the dad-ish, normcore vibes that have made their classic kicks a hit with a certain type of fashion guy. The biggest problem with the OMN1S, really, is the name, which presents a Wonders/Oneders-esque quandary: how in the hell are you supposed to pronounce it? Is it just “Omnis”? “Omni Ones”? “Omn-Ones”? “Om-nom-noms”? Hopefully New Balance will clear that up before the OMN2S eventually drop. This is what Kawhi wanted. Last March, the former Finals MVP reportedly turned down a four-year, $22-million deal from Jordan Brand—his shoe sponsor since 2013—in search of an opportunity to grow his profile and become the face of a brand. When New Balance swooped in to sign him in November, it seemed like an ideal match of unconventional company and unconventional superstar. 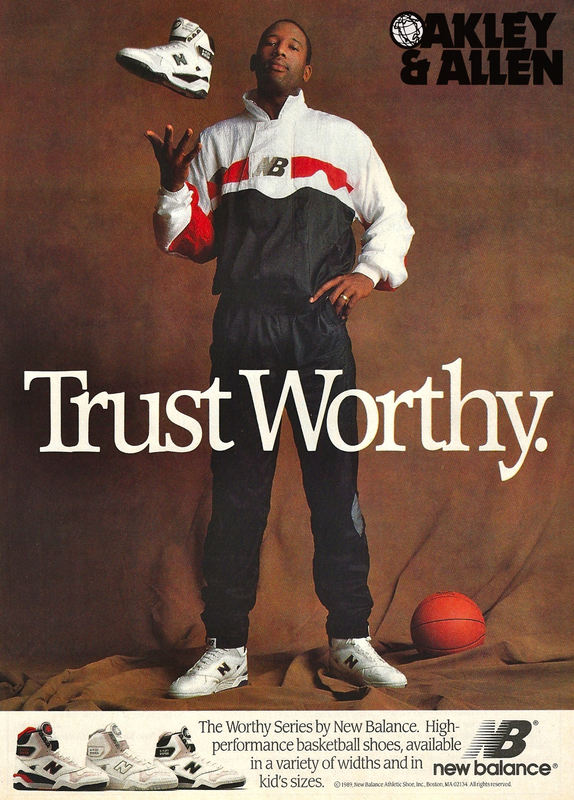 Now, though, it’s time for Kawhi to step up and fill his role as a brand ambassador. The non-verbal schtick in the commercial above is clever, but it’s not going to work forever. When you’ve got your name on the shoe, you need to do more than just play well to move product—even if you’re a perennial MVP candidate and former Defensive Player of the Year. Kids watched Jordan act a fool with Spike Lee and bring the smackdown to the Monstars. They’ve seen LeBron pal around with Drake, and laughed at Kyrie in old man makeup. All that most NBA fans know about Kawhi is that he’s quiet, hates the limelight, and has an awkward laugh. That kind of anti-personality might sell emo folk albums, but it won’t help much with a basketball sneaker. Kawhi asked for a bigger platform; New Balance has given him one. For their relationship to continue to be mutually beneficial, he’s going to have to open up and be willing to play ball off the court. No one’s asking Kawhi to suddenly become a trash-talking savant like Gary Payton or a fit god like Russell Westbrook, but flashing a little more personality and moving beyond the two-word interview answers would go a long way toward improving his marketability—and dispelling all the rumors that he’s a steal-savvy cyborg. But it also serves as yet another reminder that the team’s current window—with a legitimate superstar in Kawhi, backed up by all-stars Kyle Lowry and Marc Gasol and a bevy of young talent—might slam shut far faster than it creaked open. With Kawhi expected to hit unrestricted free agency in July, Raps fans are desperately searching for clues to his plans, Da Vinci Code-ing the hell out of his postgame comments, his real estate investments, and now, of course, his sneakers. Sneaker brands are notorious for nudging their stars toward more traditional media-friendly hubs like New York or Los Angeles, but Toronto is low-key the fourth-largest market in the NBA and the only team in a country of 37 million. If enough Canadians cop OMN1S to turn some heads at New Balance—and the Kawhi-led Raptors can earn a Finals berth for the first time in franchise history—it could help Toronto keep its brightest star, and his budding new sneaker line, up north for years to come.